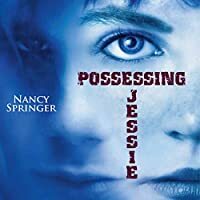 Two-time Edgar Award winner Nancy Springer has written a chilling psychological thriller about a teenage girl possessed by her dead brother. Quiet, cautious Jessie had always lived in the shadow of her dynamic younger brother--her mother's clear favorite. His recent death leaves Jessie and her mother numb with grief. That is, until the morning Jessie cuts her hair and dresses in Jason's clothes, swaggering out of the house in an uncanny imitation of her brother. Her mother is visibly cheered, and for once Jessie is the center of attention at school. But each day Jason takes over Jessie more and more. Can she escape his power? Fast-paced, accessible, and truly creepy, this novel will have readers on the edge of their seats.